The inspiration for this dish came from Marco Pierre White. I was fortunate enough to film Marco at work on a Knorr shoot with Pie ‘n’ mash films. Marco’s inspiration for this dish came from his mother who, even though she passed away when he was only 10 years old, seems to have had a real influence over Marco and his passion for cooking. 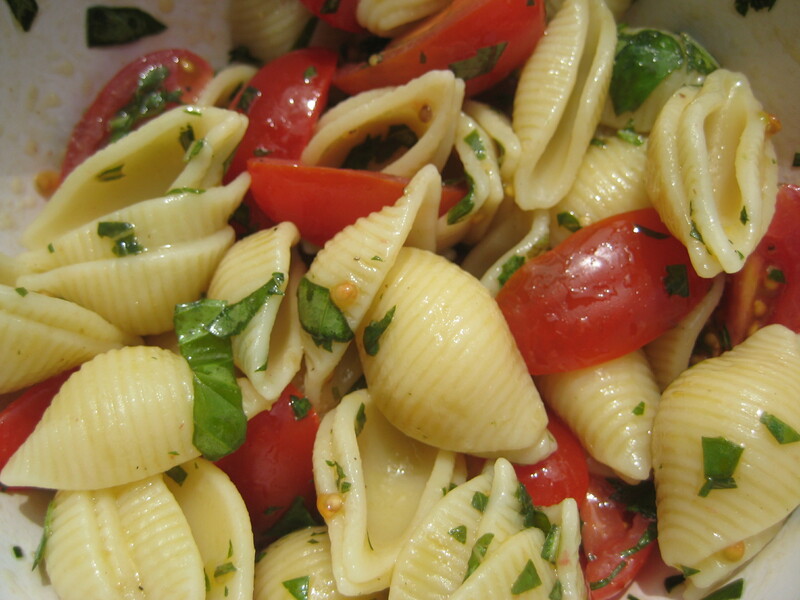 Boil your pasta until it’s al-dente and then leave to cool in a bowl of cold water. finely chop your fresh basil and then add to a large bowl adding to it your tomatoes, olive oil, white wine vinegar and seasoning. Once the pasta is cooled, drain and add to the mixture coating it in the oil and tomatoes. Great served with spatch-cooked chicken and beetroot with green beans or simply as an addition to any fish or meat cooked on the BBQ.